"Finding content in SharePoint was a huge challenge. So we switched to ScreenSteps. Now, it's easier to create knowledge articles and easier for employees to find those articles." Cushman & Wakefield has to address the same challenges that many other international service firms face when it comes to training employees on internal policies and procedures. They needed SMEs to contribute their knowledge to a centralized knowledge base and they needed employees to be able to easily access that information. Finding answers to questions is the biggest challenge employees have when it comes to internal documentation. As a Sr. Training Manager, Derek's #1 priority was to make it easier for employees to actually locate the right training content when they needed it. 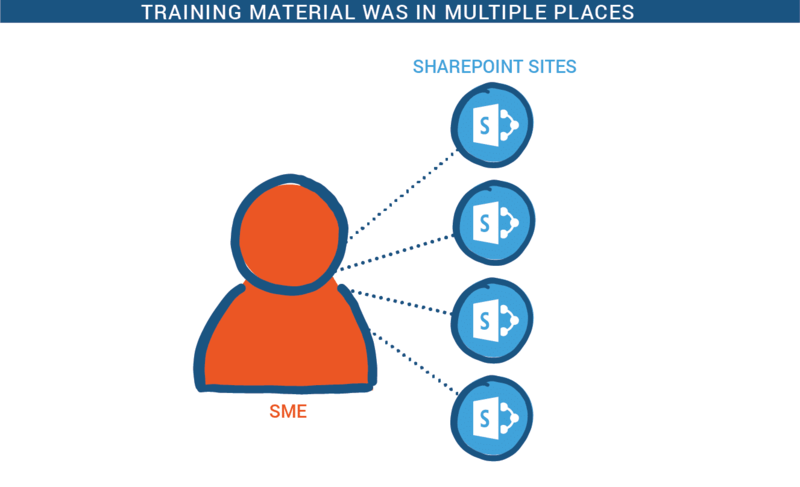 I inherited a bunch of training material that was hanging out on four different SharePoint sites and just scattered everywhere. So that was the first challenge for me: how were people supposed to find information? Because even if employees knew which Sharepoint site to visit, the search in SharePoint didn't work well, so employees still struggled. Derek also wanted to improve the employee experience of using training materials. In SharePoint, people end up at a document. They end up at Word and excel and they need to open up a document, and when it's not the right one, close it back down. That gets very frustrating for people. And finally, Derek wanted more control over what kind of content was making it into the knowledge base, and the format of that content. Sharepoint became a dumping ground, and that wasn't going to work for what we wanted to accomplish here. When Derek began using ScreenSteps, his first priority was to bring all of the existing training resource into ScreenSteps. A lot of great training content was just kind of floating around. So really, a big part of my job initially was to try and aggregate everything and then let everybody know it was available. After Derek began the process of aggregating content into ScreenSteps, he also began reaching out to subject matter experts to get their contributions. I’m not the subject matter expert, so I rely on others to create new content. Because creating content is so easy, fast, and intuitive, I can get more people to contribute to our knowledge base and create great training docs. Then I go through and clean that up. That’s really my role long-term. Other people are just creating the content and I’m just editing. 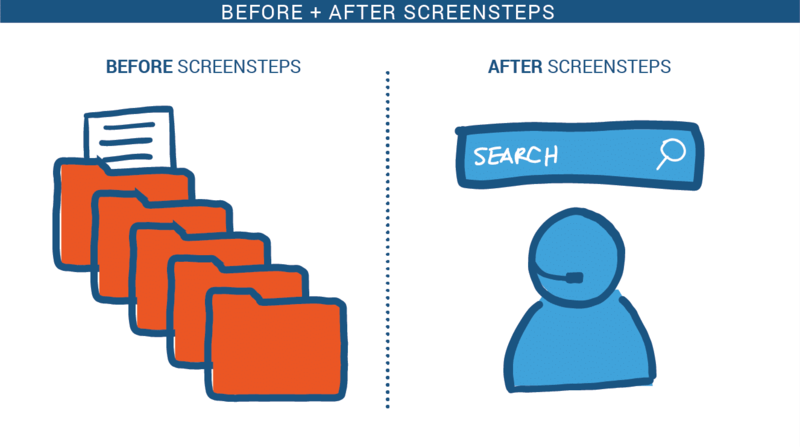 ScreenSteps slices in half the time it takes to create content. Those who are contributing often comment on how easy it is to create content. The ease of use of the editor. Because before, every single person was just using Word. And Word can get a little clunky - things just don’t appear as you want them to when you paste in screenshots and add text. ScreenSteps manages that much better. 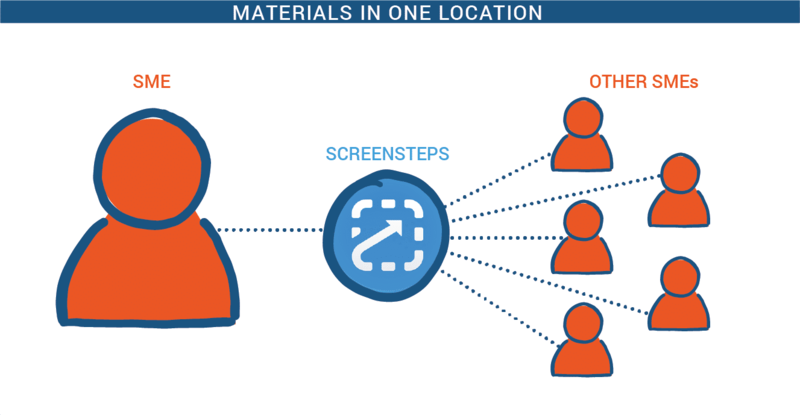 Once Derek got the content into ScreenSteps, he found it very easy to organize, and employees loved how easy it was to search for help materials. I also love the hierarchy of ScreenSteps - once you get inside of a manual and you can expand each chapter, people love that. It’s a great feature. Employees are using the knowledge managed in ScreenSteps to do better work. Derek continues to grow the knowledge base and build training materials for employees. His organization skills, keen eye for detail, and his ability to work with others is what makes him successful. ScreenSteps just makes it easier for him to do it in less time and with less confusion.